Don’t have a youth group over 12 kids. Don’t have 5,000 follower on Twitter or even a Twitter account. Don’t play the guitar or any instrument for that matter. Don’t have a web store with products to sell. They are the unsung and the unnoticed. They will never get an award on earth for the service but watch out when they get to heaven! They will never have an article in a magazine. They don’t host online schools or mentor groups. They pray like it’s completely up to God and work like it’s completely up to them. They just love Jesus and love kids. THAT”S what makes them GREAT youth workers. 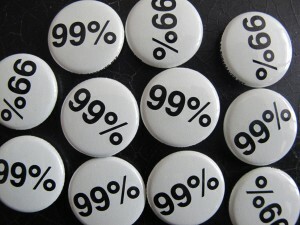 If you are one of these, 99%. Thank you for all you do. You are Epic, you are good enough, and God’s love shines down upon you. You are effective in your own way and are making a difference in the lives of your students. You are second to none.